In the late 90’s and early-mid 2000’s LucasArts was king. Games like Grim Fandango, Star Wars Battlefront, Star Wars Jedi Knight, Mercenaries and Secret Weapons over Normandy sucked gamers into their respective universes with their compelling stories and addictive gameplay. But while we love each of these games, one stands paramount above the rest: Star Wars: Jedi Academy. 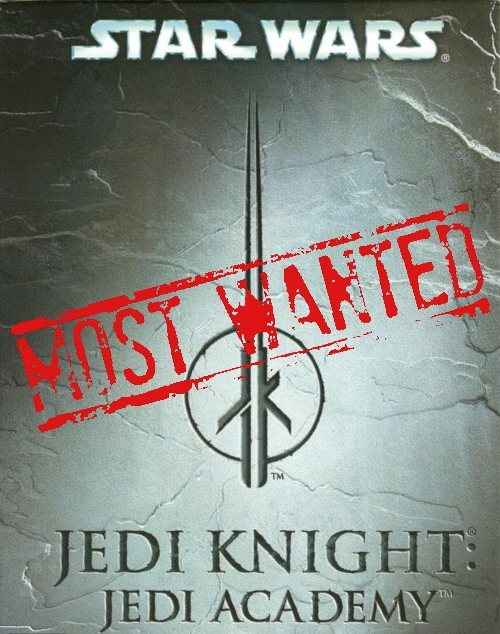 The fourth game in the Dark Forces series, this title saw series protagonist Kyle Katarn take a back seat to Jedi Padawan Jaden Korr, a blank slate character. Players could customize Korr, changing clothes, lightsaber hilt and color, fighting style, force powers, even the species and gender. It was the first time in the history of Star Wars gaming that the playable character was whatever the player wanted them to be. The campaign allowed players to pick and choose missions as they saw fit, and the multiplayer had a number of strong game types and maps to choose from. We miss it. We want it back. Merged multiplayer – The greatest single problem with XBLA games is how difficult it is to keep multiplayer going strong. Games like Monday Night Combat and Battlefield 1943 stay consistent, but most games drop off in the first few months. 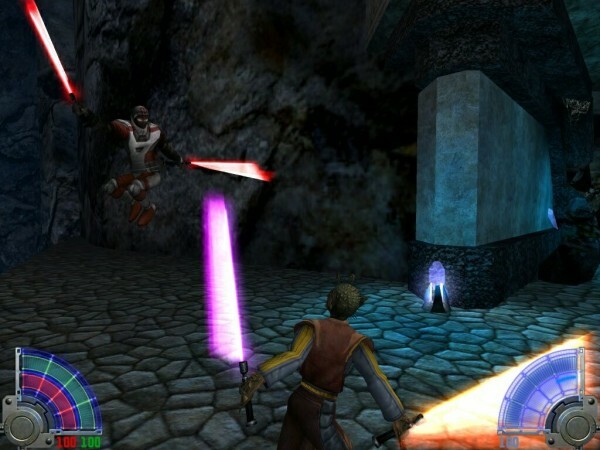 To combat that drop we’d suggest merging the multiplayer from Jedi Outcast into the game, along with the bonus Jedi Academy maps Raven Software released for the PC version. It’s an inexpensive way to offer variety without spiking development costs. Revamped UI – Let’s clarify here: the interface on the PC version was amazing. Raven Software is a company that always does a great job, no matter what they’re doing. The problem here is the console version’s UI, which was done by Vicarious Visions. It looked like it came from a noob PC modder. It was generic, with stars in the background and yellow boxes to outline things. Bravo. 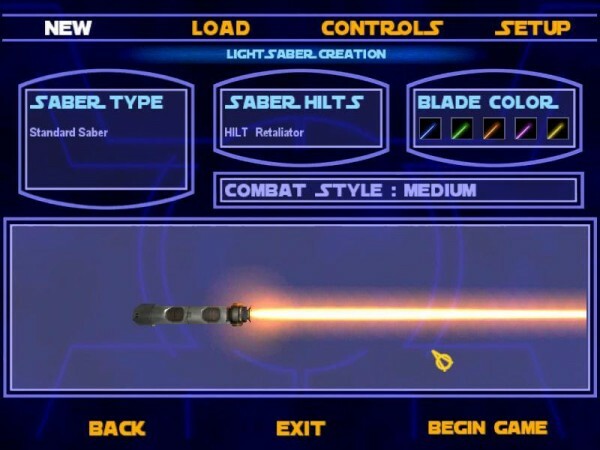 More customization – LucasArts has a deep vault of character models and textures they keep. For example: the TIE Fighter model used in Rogue Squadron II was also used in its sequel and both the Battlefront games. So why not dust off some character models and textures and expand our choices? We want to play as a Bothan, or a Zabrak Male. 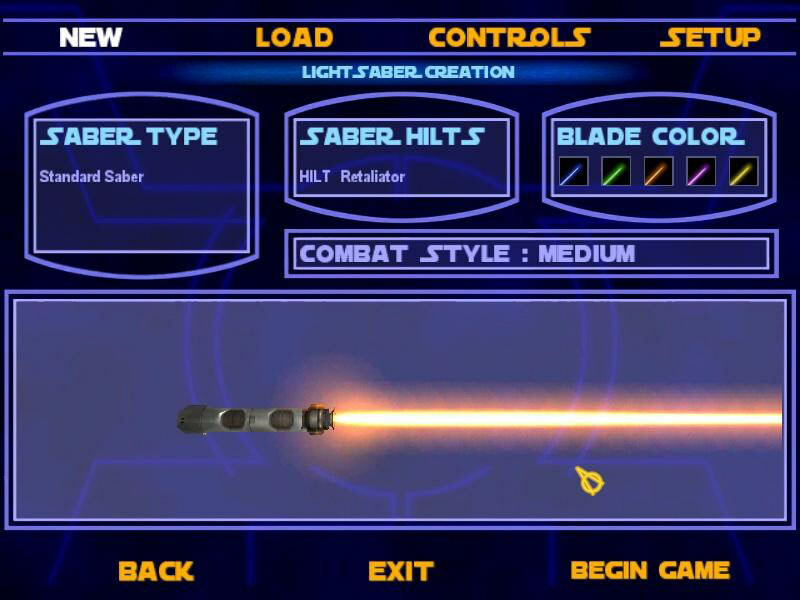 We want to use Darth Maul’s lightsaber hilt. Heck, we want to look like Darth Maul. Visuals – Everyone wants an HD remake of their favorite games, but in all honesty this game still looks great. The textures an models are vivid enough to give it a circa 2001 CG cartoon look. We love it. There’s no need to do a complete revamp. Besides, we’d want that money to go to things like customization and multiplayer stability. Campaign – Raven told a great story here, and it was one that let players choose how it unfolded. Sure, Rosh was the Jar-Jar of the game, but every good story needs one of those characters you love to hate. Besides, if he annoyed you too much you could just *spoilers* strike him down *spoilers*. Multiplayer – It speaks volume of the online play to know that nine years after its release the multiplayer is still going strong. Mods like Movie Battles have enhanced and extended the gameplay, but even those looking for the vanilla experience can find players to spar with. It was a simpler time for online play; we didn’t need huge, epic battles. We were content with just having 5-10 friends to slice in half. Good times. To put it simply: it’s LucasArts, and it’s from their prime. When this game came out everyone was a fan of ol’ George’s gaming division, and Academy gave players good reason to continue their love affair. Today’s gamer has mixed feelings on LucasArts as a company. 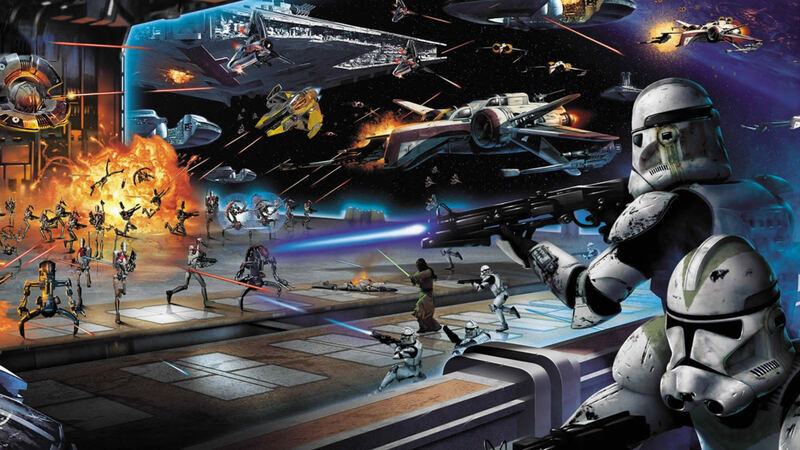 We’re all eager for Battlefront III, but we’re getting games like LEGO Star Wars III and Lucidity. 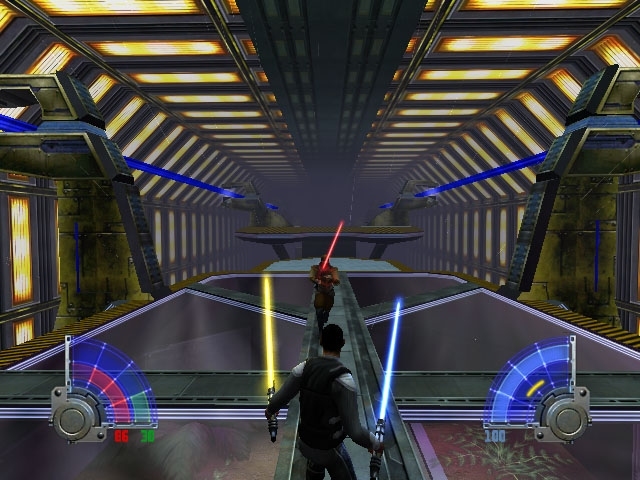 Come’on LucasArts, you know what we want. Give us the classics in digital form. If nothing else it’s a great way to increase revenues while looking for that next great AAA title.